NetMotion™ Wireless gives your devices broadband speed access. 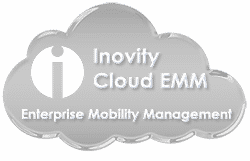 Improve your bottom line with Mobility XE! Continuous access and improved throughput give secure, broadband-like access to wireless workers. Empower your mobile workforce to be as effective and efficient at possible with Mobility XE. Mobility XE provides consistent, reliable and secure VPN access, regardless of the mobile network. Now your field workers can have uninterrupted access to corporate business information in any location, without lost connections. Award-winning Mobile VPN for wireless environments improves throughput and application responsiveness—giving your mobile device broadband-like speed! Mobility XE is a software-only Mobile Virtual Private Network (Mobile VPN) that gives your mobile workforce the secure, continuous remote access it needs, from mobile devices over any wired or wireless IP-based network. With Mobility XE Mobile VPN, your field force is empowered with the resources it needs to be effective. Mobile workers can react in real-time to expedite service, process orders and respond to inquiries, thereby improving the efficiency of your business—and the satisfaction of your customers. Your mobile workforce needs to be connected regardless of their location. Contact Inovity to learn more or schedule a free webinar.